Our goal is to produce wines with character and energy that showcase purity and site. With this goal in mind we believe in minimal handling from grape to bottle, restrained use of sulphur, little new oak if any, and absolutely no synthetic additives or perfecting agents. In our eyes the winemakers hand should be invisible while the vineyard does all of the talking. Following inspiration from some of the great producers in Chablis and Burgundy, we press our Chardonnay’s whole cluster, settle with no sulphur, barrel ferment with no stirring, little new oak, and only rack for bottling. 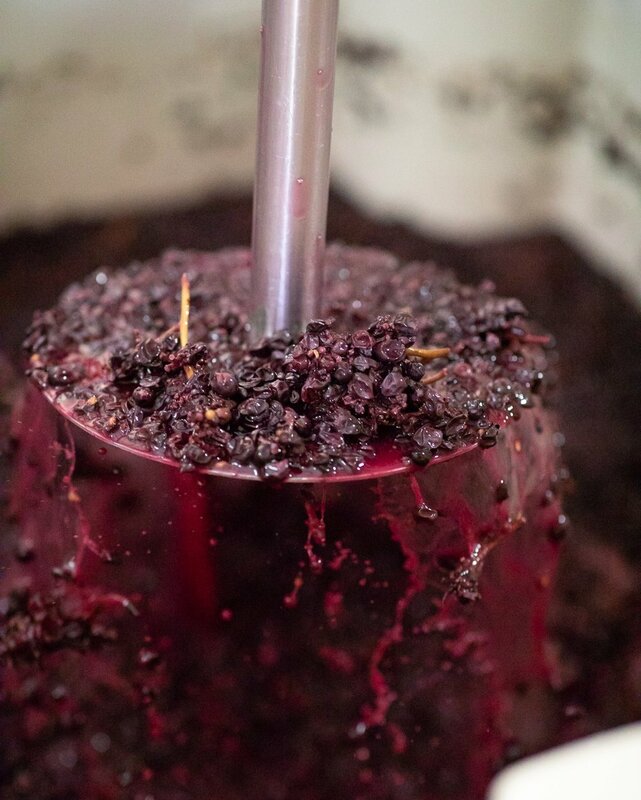 When the vintage and vineyard allows, whole cluster fermentation is used in our winemaking. This means we leave the clusters intact and do not remove the grapes from the stalks, a traditional technique in the Northern Rhone and some parts of Burgundy. In addition, we combine foot treading, punchdowns and pump-overs throughout the process.